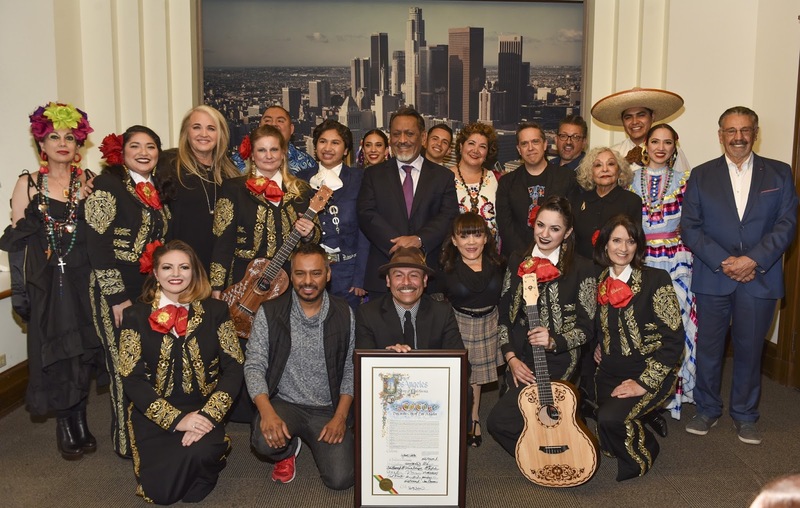 The City of Los Angeles declared "Coco’ Day in L.A.” in celebration of the home entertainment release of Disney•Pixar’s critically-acclaimed animated feature film "Coco." This is the first-ever animated feature to include an almost entirely Latino voice cast, including many who reside and grew up in the City of Los Angeles. 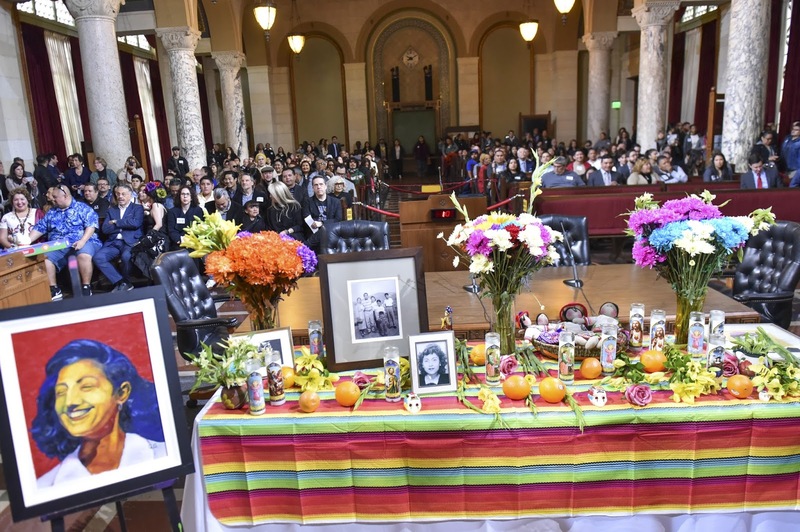 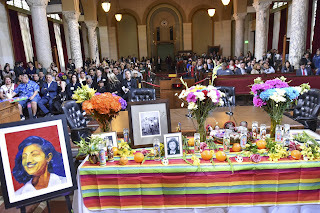 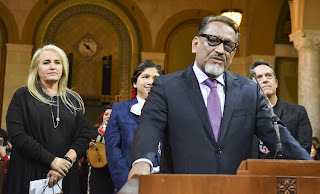 L.A. City Councilmember Gil Cedillo presented the honors at City Hall to Director Lee Unkrich (“Toy Story 3”) and Producer Darla K. Anderson (“Toy Story 3”). Additional voice talent in attendance included Anthony Gonzalez (the voice of Miguel), Renee Victor (the voice of Abuelita), Gabriel Iglesias (voice of the Clerk), Alfonso Arau (the voice of Papa Julio), Selene Luna (Voice of Tia Rosita), Lombardo Boyar (voice of Mariachi/Gustavo), Blanca Araceli (voice of Emcee), Dyana Ortelli (voice of Tia Victoria) and Carlos Moreno Jr. (the voice of a handful of characters including Corn Man). 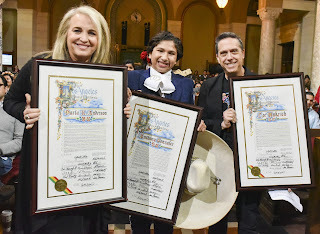 Coco is nominated for two Academy Awards – Best Animated Feature Film and Best Original Song “Remember Me” – and also won the 2018 Golden Globe Award for Best Animated Motion Picture. 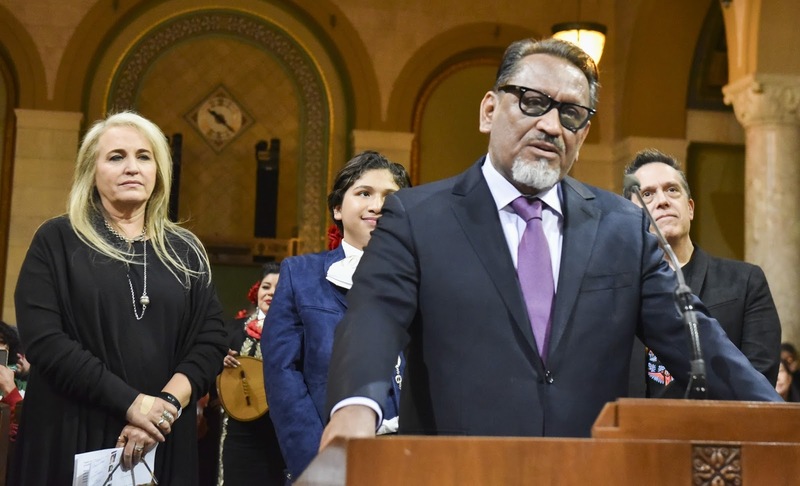 The movie became the highest grossing film of all time in Mexico and has earned widespread praise receiving 97 percent from critics and 95 percent from audiences on Rotten Tomatoes. 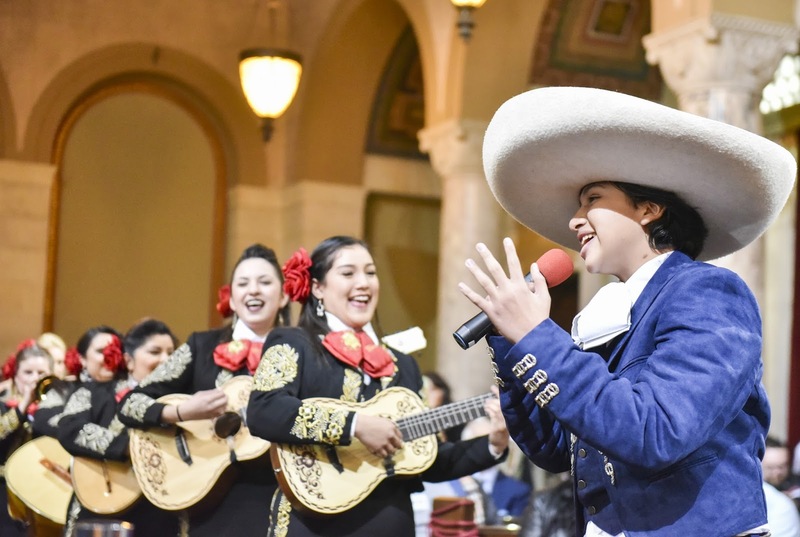 "Coco" is now available on 4K Ultra HD, Blu-ray, DVD and On Demand and can also be found digitally on HD and 4K Ultra HD as well as on Movies Anywhere.